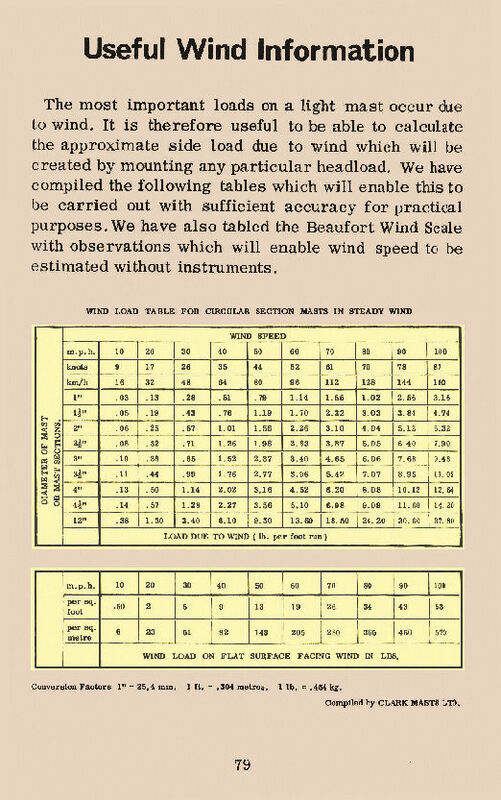 Illustrated on this web page, for historical purposes, are Clark Masts late 1960's - early 1970's catalogue pages on Wind/Guying Information in relation to their portable masts. 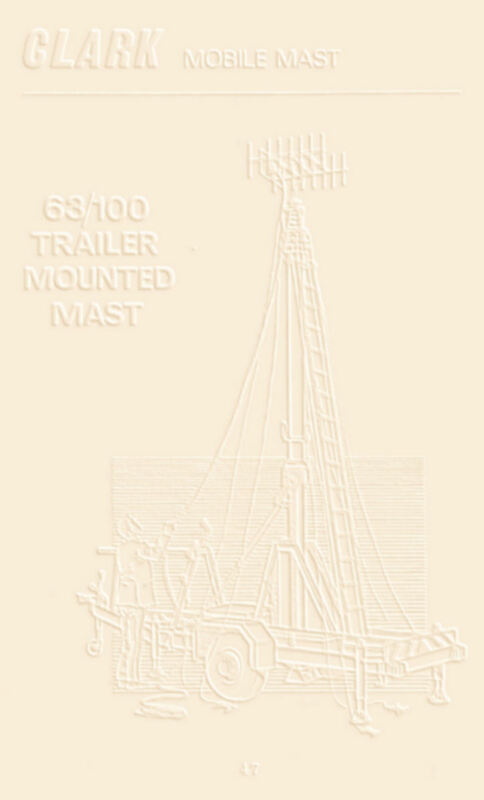 Guying and mast mounting information for today's Clark Masts portable pneumatic telescopic masts can be found HERE. In the late 1960's and early 1970's Clark Masts, in their catalogue of portable pneumatic telescopic masts, provided a table on the wind loads to be expected on a circular section mast. 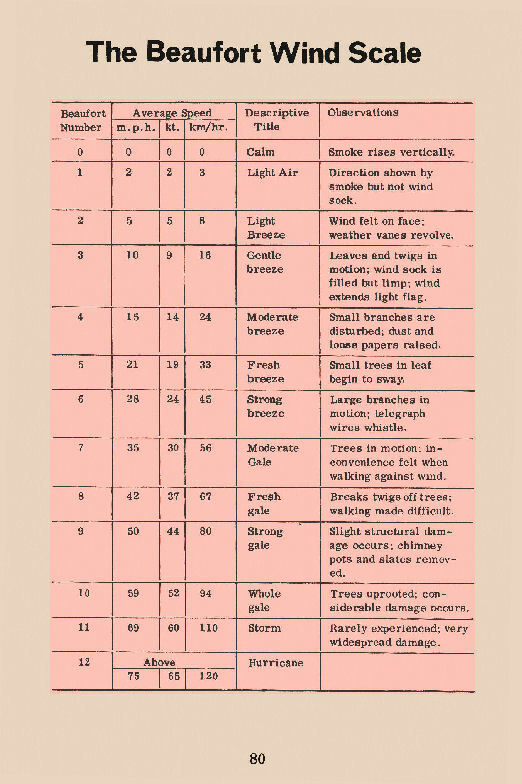 Also included in the catalogue was a table on the 'Beaufort Wind Scale' then in common use to describe wind conditions. 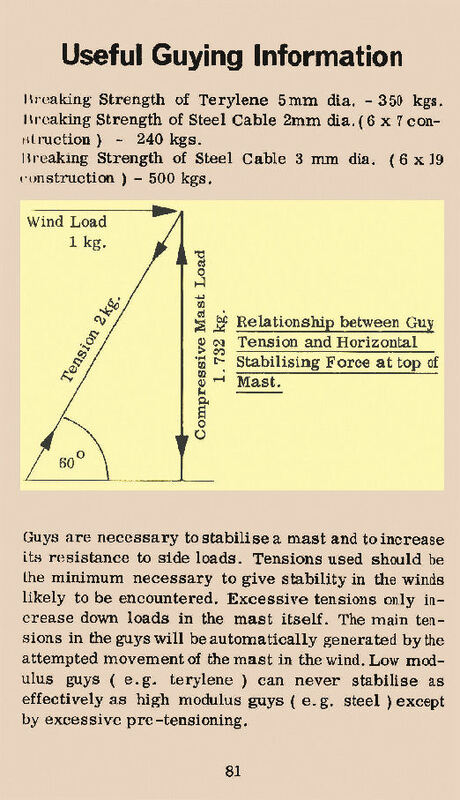 Clark Masts late 1960's catalogue also included some information on the breaking strain of various guying materials, including terylene rope and steel wire, along with some details on guy tensioning.